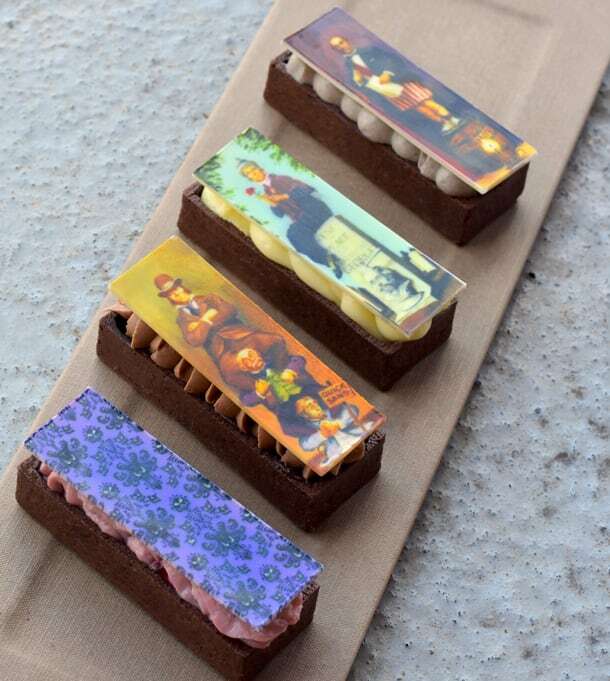 the Haunted Mansion tarts – are the different portraits based on the different locations or could I get one of each portrait in the same flavor at one location? For instance, if I wanted the chocolate tart filled with chocolate ganache, could I get four of those with the four different portraits? I know I am one of many asking about gluten free but I always get nervous b/c some crisped rice contains malt which is not gf. Just want to be sure the crisped rice treat will not contain malt/barley. 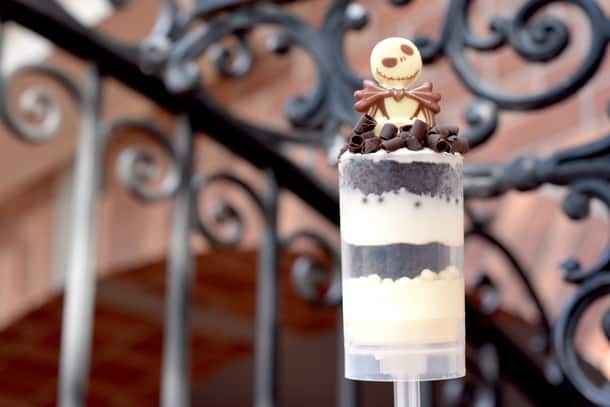 It also looks like there is a chance a few of the Mansion desserts could be gf – any specifics on that? Any word on if they will have the poision apple souvenir cup this year? I missed out on one in 2015 because I listened to my husband and waited till the end of our trip. I know they sold previously at Sleepy Hallow. Had anyone seen any this year, or purchased? Obviously I’m obsessed! Help! I have a question. Why are only 3 of the 4 stretch room portaits represented? The ballerina is replaced with a wallpaper print. Hi there! Coming down for the 9/29 party…any info on if any of these treats can be modified for Gluten allergy…like GF cookie crumbles in the dirt and worms? Tried calling the dietary number and they don’t have any info on the party goodies. Thanks!! WOW!!! Can’t wait to try these delicious goodies!!! We are sooo excited to be attending for the first time!!! Is there a list of ingredients or allergens for the special treats? Thanks. 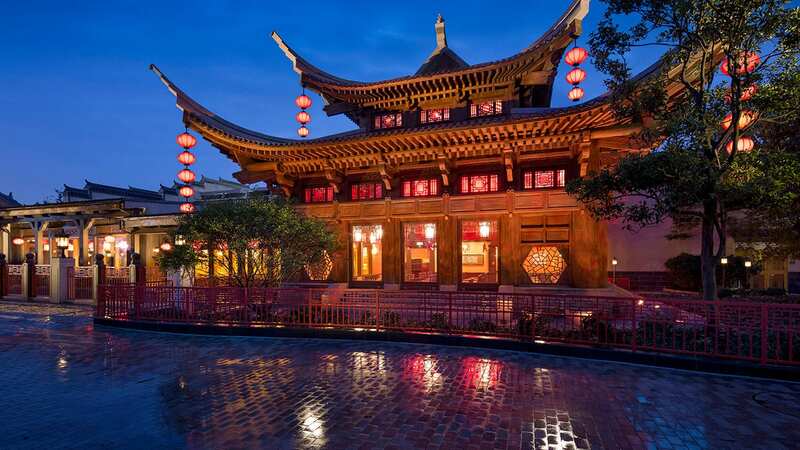 These are amazing treats offered at Walt Disney World. Will you be posting about what we can expect at Disneyland too? Can’t wait for Halloweentime at Disney! Any news on the Sorcerers Card for this years party? Jack and I and have a sleepy hollow meeting. Pumpkin king meet the dessert king! 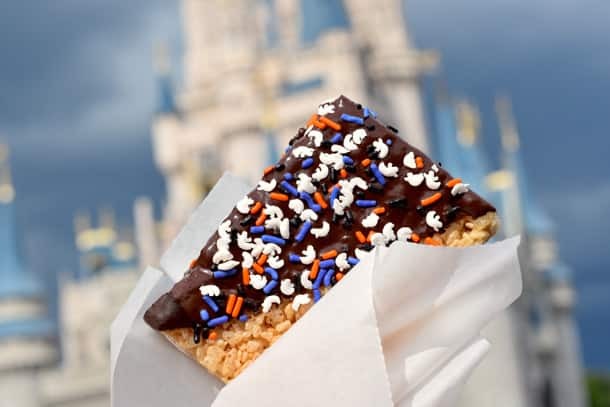 Can we use Disney Dining Plan snack credits to purchase these snack items? They all look so delicious! 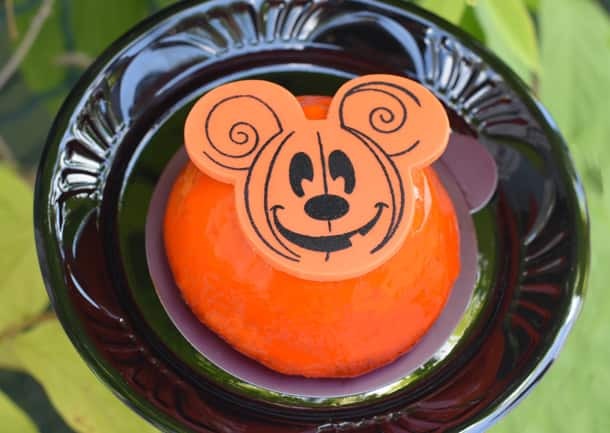 We cannot wait to attend Mickey’s Not So Scary Halloween Party!! Any chance of cool Gluten free options? Those of us that can’t eat Gluten seem to get the privilege of watching others enjoy the desserts. Are the Poison Apple Stein going to be available at the party this year? 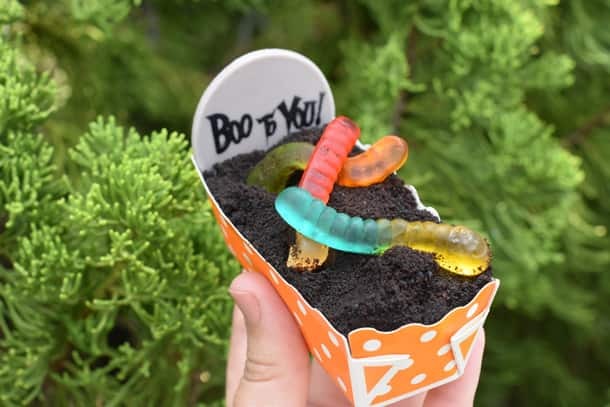 These are not available this year, but we will have unique souvenir Popcorn bucket offerings at Mickey’s Not-So-Scary Halloween Party. Are these treats only available on party nights during party hours? Will any of these treats be offered as gluten free? 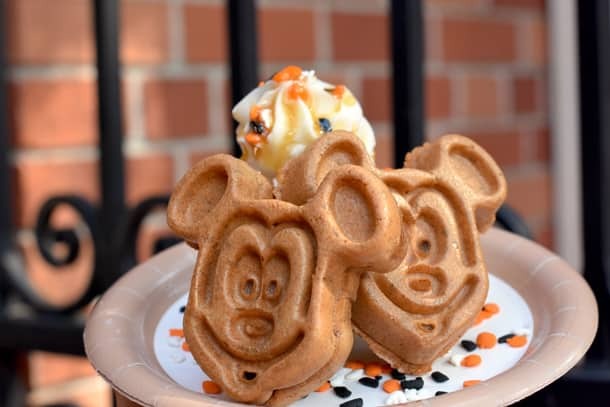 specifically the pumpkin Mickey Waffles, since I know they can make gluten free Mickey Waffles usually. Thanks!! All of these look so good. A big step up from past years. Can’t wait to try them! All of these look amazing! 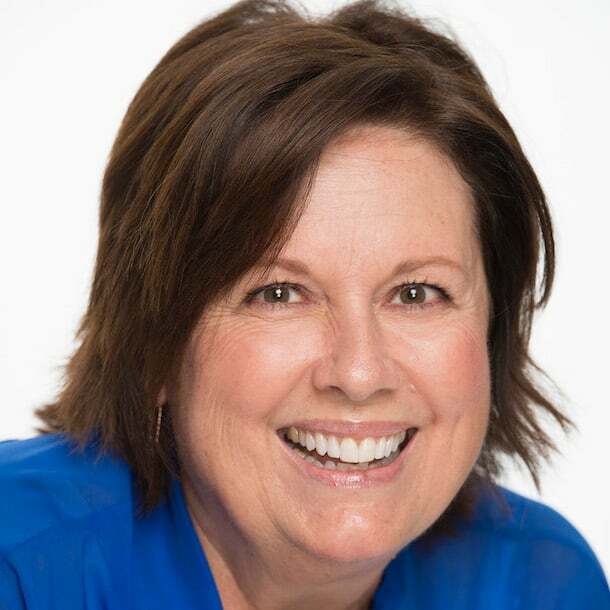 Question – the first picture shown, maybe a cinnamon roll or sticky bun – where can that be found? 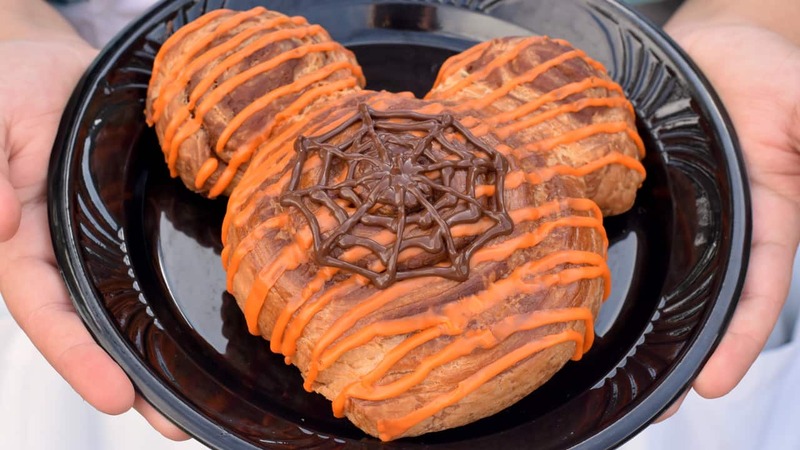 Oh gosh, these all look amazing, especially the pumpkin waffles! Does the orange white chocolate glaze on the cheesecake dome contains gelatin? I can’t just spend the whole party EATING! What am I gonna DO?!?!? !